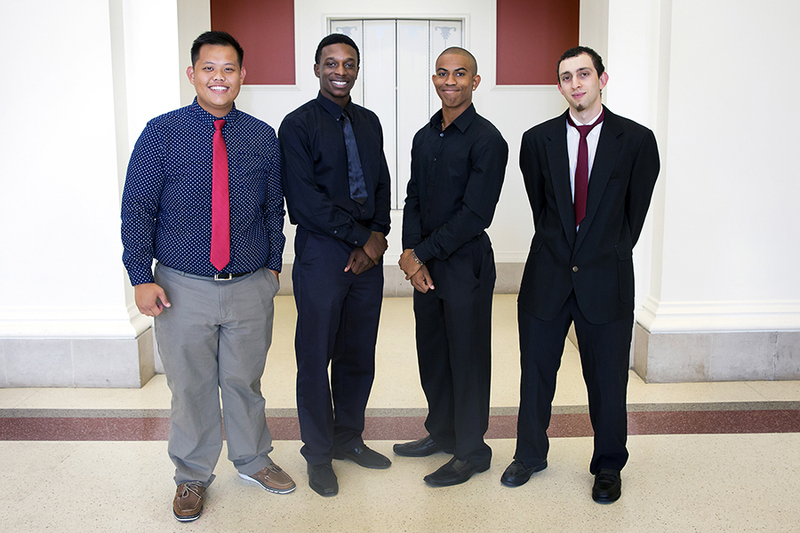 Congratulations to CPCC students and MAN UP (minority male mentoring program) members Willis Dennis, Jonah Forte, John Yang and David Theologou. They are the recipients of the 2015 OneMain Financial Completion Scholarship! 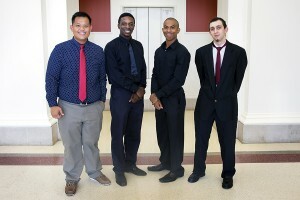 Each student received a $3,000 scholarship ($1,500 per semester). The students may apply the funds toward the cost of tuition, books or other fees incurred during the 2015-2016 academic year. To learn more about the scholarship, please visit http://www.cpcc.edu/financial_aid/assistance/scholarships/onemain-financial-completion-scholarship-program.